"Honey, I Shrunk The Kids" follows the adventures of a group of kids whose father is a wacky inventor played by Rick Moranis. After many quirky and often unsuccessful inventions, one of Moranis' experiments succeeds in shrinking matter down to a smaller scale. By mistake, his kids are shrunken down to a miniscule size smaller than a pea. The film then becomes an outlandish menagerie of unique special and practical effects showing off how things would look if we were the size of an ant. 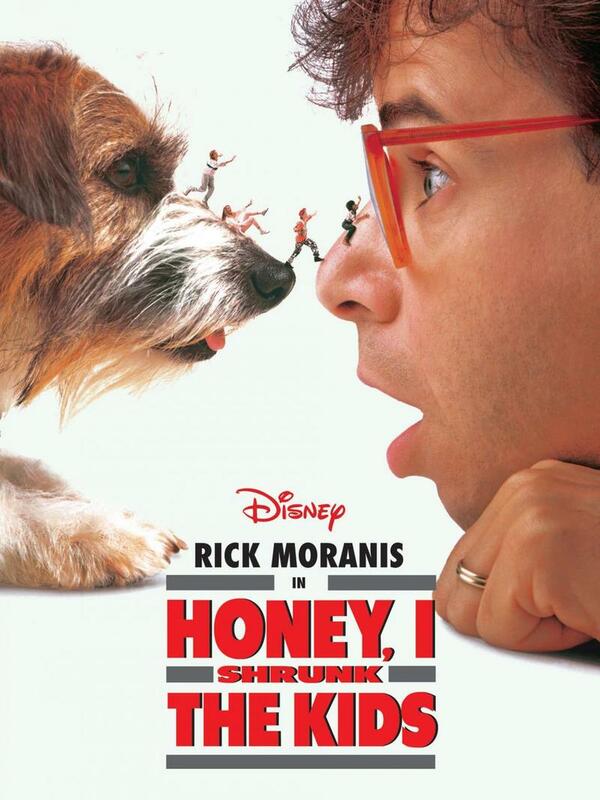 This offers the viewer a very unique perspective on the world and plenty of laughs along the way as the kids try to get back to normal size and Moranis bumbles his way through the situation, slowly coming to the realization of what has happened.